Event planning should always include a follow up plan. How are you following up with your visitors. Your Church service should be no different. How are you following up with your first time guests? How are you tracking the effectiveness of your follow up? Nearly all church management software programs will include fields for ‘membership type’ (or similar wording). Many offer automated process queues or follow-up alerts. Use those features and allow them to help you better see where each person is in the process. We’re answering the questions from yesterday based on case studies from actual churches. Who is your software administrator – a paid employee or a trusted volunteer? Have a vetting process – check references. Set clear expectations and boundaries – job description and parameters. Grant authority – allow your administrator to make some decisions. Be a champion – make sure other ministry team leaders are aware of the administrator’s authority to make decisions on software usage. Read: Seth Muse’s blog post on 6 ingredients of a great volunteer. Who has access to financial information? This will depend on your church structure. Above all, I recommend this be a very small circle. Start with one person, and branch out from there, continually evaluating. I know of one church of 300+ where every Deacon (volunteers voted to their position by the Congregation) has access. I know of another church of 300+ where only 4 key volunteers have access, one of those volunteers is the Elder who oversees finance. Software features will also dictate this. A software based on role-based permissions will grant everyone with the same role, the same set of permissions. For example, everyone in a Deacon role will have the same set of permissions. A software designed for individual permissions will give you that. Church Community Builder will allow you to give permissions based on the person, rather than their role. Who has access to basic information – names, addresses, phone numbers? This is virtually an on-line director and will force you to answer another question – are you using this as an office productivity tool or do you want the congregation to use it for church communications. In almost all Church Management Software programs, there are ways to partition what people see. In some, this is done from the office/administrator role and in others, each individual user has the ability to set up their own communication and security preferences. Who is using this for messaging? Have your driven communications into the hands of group leaders or is this a staff tool to help improve productivity? Most software programs that offer role-based permissions will somewhat limit who has church-wide communication abilities and in some of these, permissions cannot be ‘stacked.’ For example, I’ve found using Breeze, that if I give all Children’s Teachers the same permissions to check in and view their students, but one of them needs additional permissions to create schedules and send messages, I need to create a different role just for that one person. On the other hand, Church Community Builder offers person-based privileges to that I can modify the individual’s profile and set up the privileges they need. CCB also offers group privileges. I may be able to give one group leader the ability to publish their events on a public calendar (ie, a community outreach group), but another another group leader (ie, the church parking team), may not have that same ability. What questions do you have regarding access and communications? An important decision you’ll make often while using your Church Management Software is: who is using this? Is your software administrator a paid employee or do you trust a volunteer in this role? Who has access to your financial information? Who has access to basic information – phone numbers, addresses? Who is using this for messaging? Have you driven communications into the hands of group leaders or is this a staff tool to improve productivity? There are no right or wrong answers. Each church has to make decisions based on their structure and resources. Tomorrow we’ll break down these questions and offer some real answers from real software users. More on why it’s important for the whole Church to work together. This evening I received an attendance reminder for an event. An event that was canceled. I’m listed as a group leader and with CCB, there’s an option when setting up an event, to have automatic attendance reminders sent to the group leader(s) of the group hosting the event. The event that was canceled. The event that was canceled that is also listed on the public web site calendar. The event that was canceled that is also listed on the public web site calendar that also has a form available to sign up that is listed on the public list of forms. With many Church Management Software programs, there are options to link things to your public web site or display them on public lists. Assuming that your software administrator is working closely with the web site designer and communications director (if those three areas of responsibility don’t already fall to one in the same person), with one click, what is entered into CCB can automatically go to your public web site. *View this log-in page for The Gathering Community Church. (Notice in the upper right the links to Forms, Find A Gathering Group, and Calendar.) If you click calendar, please ignore the hockey game slated for January 14, 2017. That will be deleted soon. If you click forms, please ignore the link to the hockey game sign up form. That also will be deleted. Not soon enough. A case like the one I’m looking at this evening, is further reason that you should make sure all of your ministry team leaders are working closely with each other and with your software administrator, to maximize the use of your church management software and understand how it connects the entire Church. Including the public web site. *I hope that by the time you read this, the hockey game won’t be listed on either of those pages. Church Management Software is software for the entire church. This Church did have a high ratio of children (birth – elementary) to adults and they were more than likely maximizing that area of the software. If you want to maximize your software and get everything you are paying for, it’s important to know everything it will do and how it all fits together. Do the people who input financial contributions know to look for families who may have been entered at children’s check in prior to entering a new contributor? Does your Next Steps Director know how to run reports to see who was entered and how to merge family members together? There are two important things that can help you maximize your software. Who is your software administrator? Designate one person who understands how the software affects the Church as a whole. This is one person who will have access to the entire software and should have authority to make judgement calls on where, when and how it is used. The software administrator may not reflect the structure of the Church. The Senior/Lead Pastor is leading the Church, but may not be the best person to act software administrator. The software administrator should be trusted with all affairs of the Church. Choose your software administrator wisely and make sure Ministry Team Leaders understand their authority in making decisions as to how the software is used. Regular ongoing training. Your software administrator should participate in any training provided by the software company. But most importantly, anyone within your congregation needing upgraded permissions to perform tasks, should be trained on it’s use. Since every action within one area of the software has the potential to affect other areas, it is important that everyone is on the same page and understands how to use it. How did you choose your software administrator? How is your church providing ongoing training to Church Leaders? I live in North Carolina. Over the weekend we had snow. And ice. It was only a few inches of snow with a nice glaze of ice. Enough ice that there were people ice skating on neighborhood streets. Terms were thrown around: Snowmageddon, Snowpocolypse, Snowzilla. Philippians 2:4 instructs us to not only look out for our own interest, but also the interest of others. This can be a daunting task for church leaders – shepherds caring for their flock. How can a good Church management software help? This weekend, Fairview Baptist Church in Apex, NC, used the forms feature within Breeze ChMS to create a custom form. Are you in need of anything? Are you able to offer your home to someone without power? Are you able to safely drive and run errands or provide rides to people? Form responses were automatically sent (emailed) to one person, but also accessible by people with form privileges within the software. Church Community Builder has a ‘needs’ feature for each group in the software. Group leaders can create needs, group members can sign up to take those needs. Church leaders with full software privileges can view those needs and sign ups across all groups. These are just a few examples of how a Church management software can help you meet the needs of your Church body. How are you managing needs within your own Church? What Do You Want In A Church Management Software? Let me first tell you, you DO want a church management software. Eventually you’re going to out grow simple spreadsheets and cloud-based file sharing. A few years ago our Lead Pastor walked in and talked about all the features he’d like in a “perfect” program. I pointed out that he already had CCB (Church Community Builder). He asked me if I knew how to use it and I told him I did. CCB just partnered with @ChurchNumbers, but if you’re not too interested in data metrics, this won’t be of interest to you. Breeze offers custom user roles and permissions, but unless you have someone dedicated to managing user roles and permissions, this is not a benefit to you. Are you looking to track attendance on events or main services? Do you want children’s check-in? Do you want financial tracking? Do you want group management features? Do you want spiritual gift fields for getting people connected to ministry opportunities? Do you want to manage resources – such as buildings and grounds usage? Are you tracking attendance for the purpose of follow-up, first time guest engagement, or church growth? Do you want children’s check-in only for attendance or will you use a check-out feature as well? Are tracking financial contributions for office staff use or do you want the congregation to be able to access their own financial information? Do you need online giving? Is there a current problem or potential problem that can be solved with the use of a good church management software? Are you looking for a more organized office or are you looking for something the congregation will embrace as an overall church communications tool? Start with these questions. In the coming weeks I’ll begin to break these down based on how I’ve used church management software. Do You Need A Church Management Software? You NEED God’s Word and strong visionary leader. You need a core group of people committed to driving the church forward no matter what phase you’re in – launch team, elders, core staff. You need to be committed to prayer. You don’t need a church management software. But a good church management software will help you in several areas. Integrate with your web site and/or other external calendars. Data entry takes place once and with one click, the information appears in multiple locations. Track financial giving and offer online giving options. Nursery/children’s check-in with the option to print security labels. Group management options that allow you to move communications into the hands of small group leaders. Input attendance on large gatherings (Sunday morning worship service) to track growth metrics. Keep all church-data in one single, secure location. Track visitors and guests as they assimilate into the life and culture of your church. Track attendance to know when to follow up with people who haven’t been at church for awhile. Keep Pastoral or staff notes in a custom notes field. Set reminders to follow up with individuals or assign follow ups to other key staff members or volunteers. Keep track of prayer requests. There are many other features a good church management software will provide. So, while it’s not a NEED, it is definitely something you should want. Tomorrow we’ll look into the question: what do you want in a church management software? Depending on which church management software your church chooses, there may be areas where you can customize the screen with graphics. 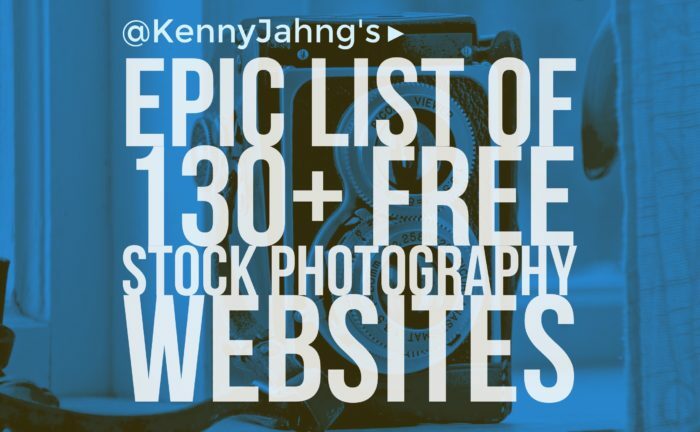 Check out Kenny Jahng’s list of free stock photo sites and connect with some awesome creative people over at Church Communications to help you get to started on creating some eye-catching graphics for your ChMS. As I was thinking about starting a blog, I realized my blog needed a theme. Trust me, you WANT me to have a theme. You don’t want some of the random thoughts that just come out of my head. My boss has referred to me as “process thinker.” And since the boss is always right, I thought about how that would fit into my blog. Late last night, I realized that processes are good, but they should lead to progress. As Christians we are always growing and progressing. Moving forward, not backward. I probably won’t blog every day. I may not even blog every week. I have some super smart friends. You should check out their blogs (look over to the right if you’re on a computer or scroll down if you’re on a mobile device). If I don’t have anything original to say, I’ll share their stuff. I’ll probably quote my boss (a lot). He pays me. I’ll probably quote my Pastors (a lot). They don’t pay me, but they are awesome. I’m sarcastic. Sarcasm is our family’s love language. If you read something and think, ‘she can’t be serious,’ then you’re probably right.